Your business is probably successful, high end, and targeted toward niche markets. Perfect! We can add products and work with your current decor or architectural plans to develop railing, murals, lighting and more. We create amazing touches for the ultimate in the clients experience at your restaurant, club or retail venue. 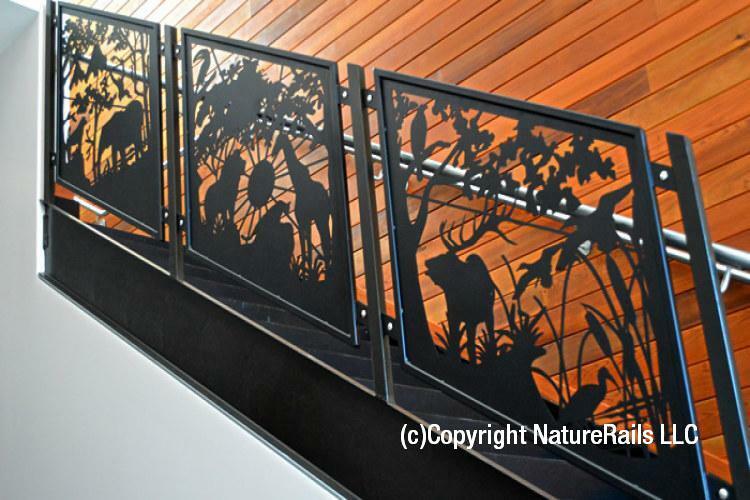 Make the most of exterior stair, loft, deck and porch spaces with long lasting products from NatureRails. Create interior bar area’s, man caves and stair and balcony railing that is breath taking and safe. Our products can enhance the natural beauty and value of private luxury residences. Restaurants and retail stores like LL Bean, The Great Bear Inn and Bates Rental Cabins create a visual experience for their guests and shoppers. Retail Stores can create decorative lighting, signage and stairs that make a store a destination. Lodge or Cabin: Fine Lodges or alpine restaurants a fire screen always looks great with a safety custom decorative fire screen. Parks & City Recreation area’s with themed playgrounds, city park bench, themed trash receptacles or city logo’s always look great on a variety of products we make to last as well as graffiti resistant coatings available. Railing is our specialty, but we also offer co-coordinating products such as window transoms, fire screens, signs, patio & deck railing. Custom lighting sconces and ceiling light covers, door covers and a matching mailbox post also available. NatureRails can work with your idea’s, or your specific drawings by the clients architect. The artist can incorporate your logo or theme into the design to complete your project with a unique feel. Each order includes 5 art proof revisions. Rob has worked with John Seery Lester, Paco Young, as well as airbrushed fine art for 40+ years. Rob was born with natural talent and also schooled. He was also into Falconry and loved spending time in Yosemite California after growing up in New York. Rob Gerdin has spent a life time creating artwork. 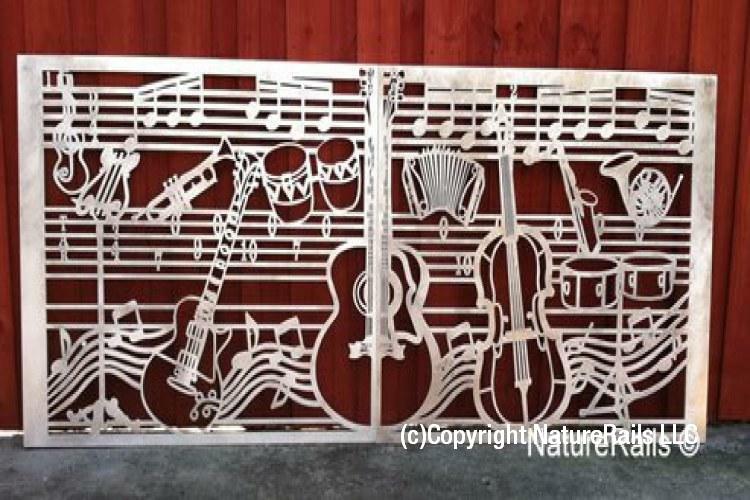 All types of mediums including acrylic paints, sculpting, graphic design & mixed media and photography have helped him develop a skill set that is second to none in metal art. He has the fine touch of realism and detail to his work, designed and fabricated to meet all common building codes. After deposit, your artwork process starts with Rob creating your designs to the final sizing submitted. Five revisions are included with your initial pricing so that you have time to evolve the idea into the perfect scene for your project. Weld plans if the project involves welding are then produced for approval prior to fabrication. Please call NatureRails™ today at 888-743-2325 for a FREE quote on your project or to discuss your specific needs. You may also send us a description of your project or questions using the form on the Customer Inquiry Form page if you prefer.